Discover how forces are applied through an arch, and why this makes it the perfect shape for architecture. The magnificent Pont du Gard aqueduct in the south of France incorporates a shape that gets stronger the more it holds – the arch. The ancient Romans pioneered the use of arches in Western civilisation, and incorporated them into many of their structures – from the arcades of the Colosseum, to the dome of the Pantheon. 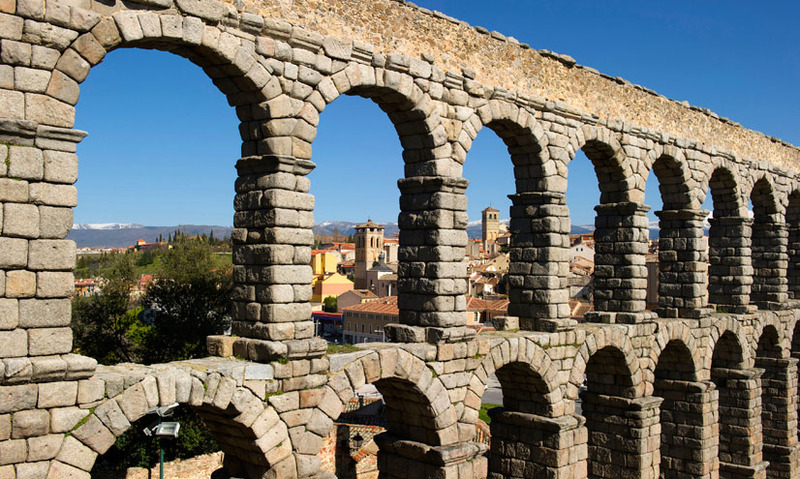 The use of arches is perhaps why many buildings of ancient Rome still stand today. Early arches like those in the Pont du Gard bridge use huge wedge-shaped stones that were cut to fit together perfectly. The centre stone, or 'keystone', is the last piece to be put in place, and gives the arch its strength, allowing it to be held together by its own force. The forces of gravity and weight pushing down on the arch are spread sideways along the curved shape and down to its base, causing the structure to become compressed. This compression makes the arch rigid, and the more force that is exerted onto the arch, the more secure it becomes, able to withstand weights that far exceed its own. Any force put onto a rectangular beam will not be spread like an arch, but will be focused on the centre of the beam, making it far weaker. Bridges have come a long way since Roman times, and have become more economical in their use of materials and their design. 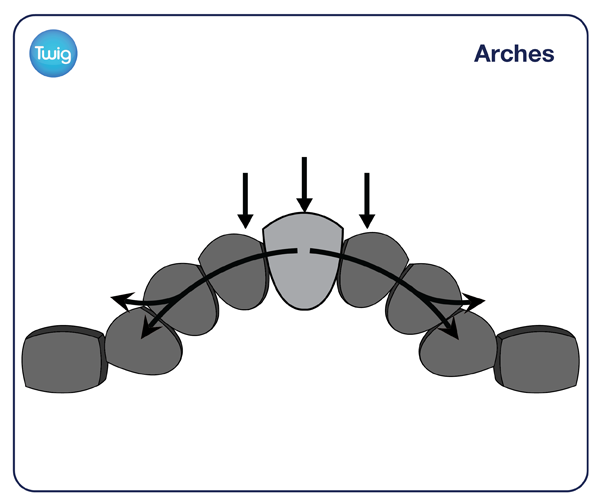 The original semicircular multiple arch design is often neglected in favour of a stronger parabolic arch design, as it carries the entire horizontal force down to the foundations. Since no force is being carried sideways, it eliminates the need for the extra support, allowing for more freedom in the design. So evolving use of the arch allows architects to make their designs wider, larger and longer than ever before.